Welcome to the offices of Dr. Rebecca Studinger. Our team is dedicated to helping you meet your cosmetic, reconstructive and plastic surgery goals. Dr. Studinger is a Board Certified Plastic Surgeon offering a wide range of cosmetic and reconstructive procedures to meet your needs. 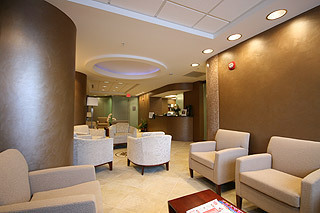 Not only does this include surgical procedures, but also nonsurgical rejuvenation and laser techniques. Our team specializes in cosmetic procedures such as diep flap reconstruction, face lifts, rhinoplasties, lymphedema and Vascularized Lymph Node Transfer (VLNT), blepharoplasties, abdominoplasties, as well as breast lifts, augmentations, and liposuction procedures, all handled in our convenient state of the art facilities in Novi, Michigan and Troy, Michigan. You can learn more about Dr. Studinger's education, experience, and commitment here. If you have questions, please feel free to contact us by email or by phone at (248) 662-4450. Thank you for visiting DrStudinger.com!